The Northrop Grumman B-21 Raider is a heavy bomber under development by Northrop Grumman. As part of the Long Range Strike Bomber program (LRS-B), it is to be a very long-range, stealth strategic bomber for the United States Air Force capable of delivering conventional and thermonuclear weapons. The bomber is expected to enter service by 2025. It is to complement existing Rockwell B-1 Lancer, Northrop Grumman B-2 Spirit and Boeing B-52 Stratofortress bomber fleets in U.S. service and eventually replace these bombers. A request for proposal to develop the aircraft was issued in July 2014. The Air Force initial plans are to acquire a minimum of 80 to 100 LRS-B aircraft at a cost of $550 million per unit (2010) and envisions some 175 to 200 to be in service eventually. A development contract was awarded to Northrop Grumman in October 2015. A media report states that the bomber could also be used as an intelligence gatherer, battle manager, and interceptor aircraft. 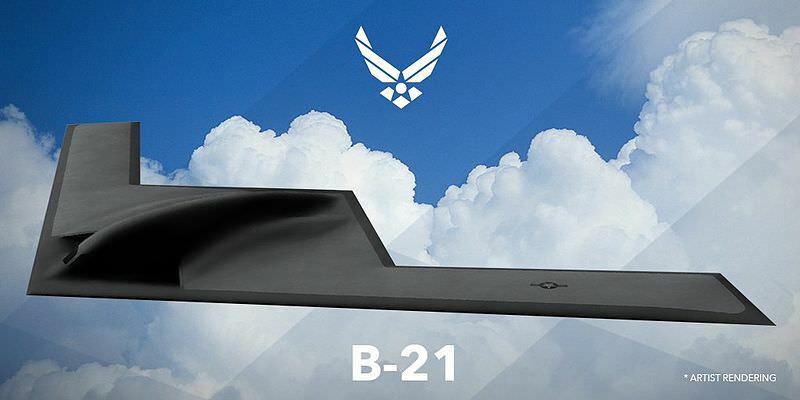 Final assembly of the B-21 is expected to take place at United States Air Force Plant 42 in Palmdale, California, at the same facility used during the 1980s and 1990s for Northrop B-2 production. Northrop Grumman was awarded a $35.8 million contract modification for a large coatings facility set to be completed in 2019. Journalists touring Plant 42 reported, "while Northrop would not specify that they planned to produce the B-21 at that location, officials were all but winking and nodding at the subject."